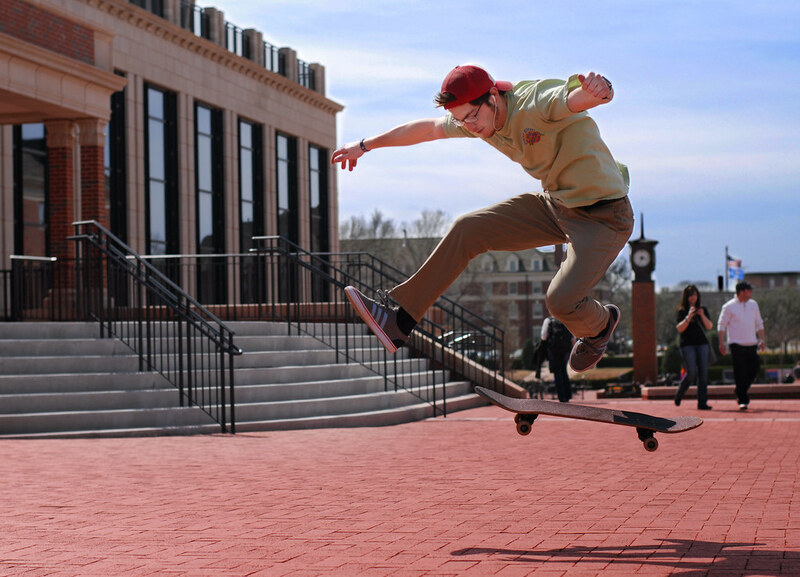 I took this photo for a contest at Oklahoma State University, with the theme of “Capturing Student Life.” Not sure if it will win or not, but even if it doesn’t I am fairly please with the results. This dude was kind enough to let me take his picture while doing a kickflip on his board, but was quick to apologize for what was apparently the poor execution of his maneuver. I thanked him and assured him that it was far, far better than anything I could hope to do on a skateboard.